The train ride through north Italy into Switzerland was absolutely stunning. We went from Milan to Geneva via a town called Stresa. It went from grassy green fields to rich, green mountains and lakes during the trip. I wish the ride was longer than it was so I could feel that relaxed for longer watching the scenery go by. All the photos I've seen don't do this picturesque country justice. There were waterfalls along the way, and I saw people hang-gliding off mountain tops. I adore this experience, and recall the memory fondly - if you're planning a trip to Europe, Switzerland is worth a stop-by or ride through it's honestly that beautiful. We were there at the end of summer, but some mountains were still snow capped because they were so high. Switzerland had crispy blue skies the whole time we were there - I loved it. 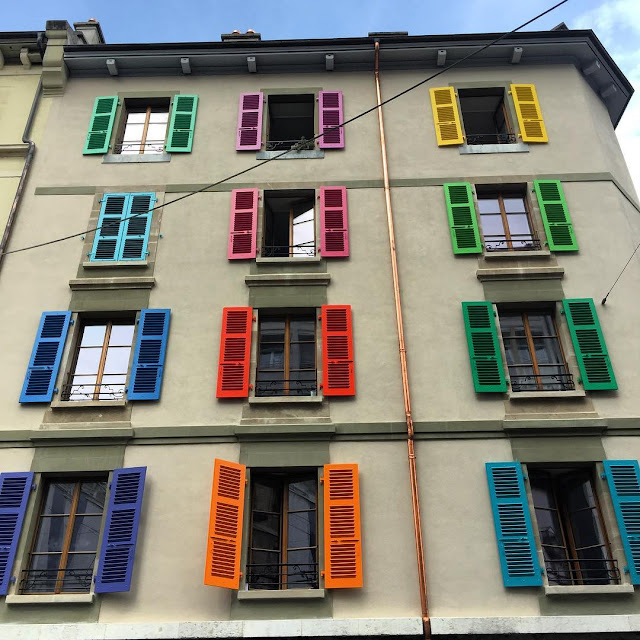 We had two days to explore Geneva before we moved onto Germany for our Phamly Reunion. The lake at the city centre and the giant mountainous backdrop makes it idyllic. I can't believe a place like this exists. The first day we went for a walk along the lake to the far side and saw the flower clock then backtracked for cheap food near the hotel. We randomly saw a police dog show in the park near the flower clock because why not? Geneva I found really relaxing, probably our second most chilled spot to visit besides Barcelona but for different reasons. It's a quieter town with not much hustle and bustle - going for strolls by the lake was the thing to do, and on the weekend locals set up little charcoal BBQs all over the park. It was perfect for my audiobook + walking habit. I think I'd get bored if I lived there but visiting was a fun time.